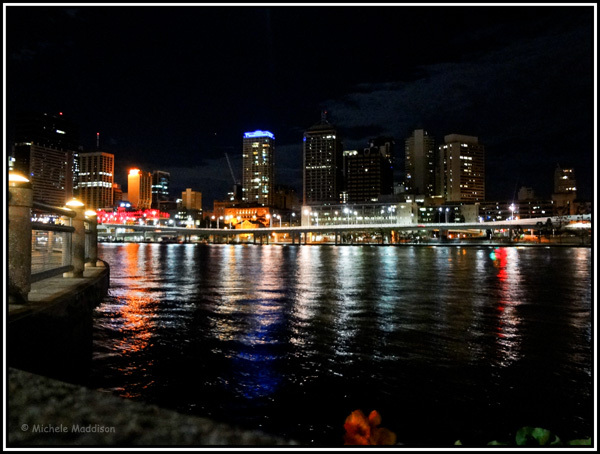 A Year Through The Lens: Day 266 – River City. After the devastating floods a couple of years ago. Brisbane is getting back on its feet along the river. City lights bounce off the river at night, as people soak up the atmosphere of Southbank. On a summer’s night people are still swimming at the “beach”; although coming from the north that could be a wee bit chilly. Nevertheless a great way to pass the time and have fun without the sunburn. One of those beautiful summer’s night when the temperature is perfect for a stroll along the river.